In addition to home insurance, we can also provide access to cover for ..
"We were really pleased with the service given by Pete Varney at AIMS. The remortgage deal he found us was very competitive and he was excellent at keeping us informed and helping when necessary. We'd definitely use his services again." "Since using AIMS when I was a first time buyer, I have always gone back to Pete for further mortgages and advice. Pete has been there every step of the way making the whole process smooth, painless and jargon free. Anyone looking for someone they can trust to give them good and varied advice then you need to speak to AIMS! "Peter Varney of AIMS recently handled our remortgage and we were deighted with the service. Such a complicated matter was made so easy and we hardly had to do a thing - Peter did everything for us. 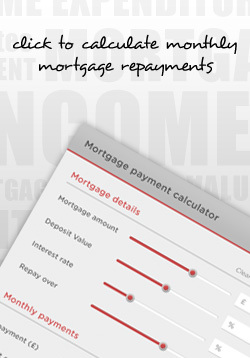 For so little effort, we now have a really good mortgage rate and I would recommend anyone to use AIMS." "We have used Pete twice now, and our son has just got a first time mortgage via him. Canʼt sing Peteʼs praises enough. He gives a truly first class service and nothing is too much trouble for him. He is very honest,reliable and friendly. We have already recommended him to our family and friends and would honestly urge you to give him a try, weʼre sure you wonʼt be disappinted with the service that he offers." "Top class service and the best deal available sourced by Pete. If you want good advice and great service, call him." "I have used Aimsmort on several occasions and I have found the advice and service exceptional. Aimsmort being truly independant get you the morgage you want, where possible, or offer you an aternative of your choise. I have recommended Aimsmort to friends and the ones who have taken this advice are of similar mind about the friendly pressure free service." "There was no way I ever thought I would get a mortgage, due to being single and on an average income with a past of irresponsible debt I had resigned myself to being a renter for evermore, however Pete worked extremely hard, he supported and took me through every step and got me a great deal, I am now proud to be a homeowner and was lucky to not have to endure any of the stresses of first time buying due to Peteʼs excellent service. I would highly resommend his services and will use no other myself." "A superb level of service! Peter is friendly and professional at all times. We werenʼt sure if weʼd be able to sort out a mortgage, but Peter made it effortless, taking away all the burden of comparing the options and completing the paperwork. Itʼs just a shame the actual purchase of our house didnʼt go quite as smoothly. Highly recommended!!" "I have recently used AIM's for my first mortgage and Peter took the stress completely out of what can be a rather intense time. His intial help in understanding all the options and information regarding a mortgage where fantastic and his advice was invaluable. My purchase has been delayed by slow builders but the support has been there from the first meeting up until now, just after I have exchanged. I can't recommend AIM enough as you get a trully personal service and your queries and questions are always dealt with in rapid time. I will be back to them in 2 years when my current mortgage period expires, without a doubt!" Aldershot Independent Mortgage Service (Aims) is a trading style of Peter Dane Varney which is an appointed representative of TenetLime Limited, which is authorised and regulated by the Financial Conduct Authority. TenetLime Limited is entered on the Financial Services Register (www.fca.org.uk/register) under reference 311266.